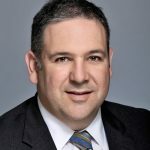 Réjean Després is the Vice President, Personal and Commercial Banking for Atlantic Canada at the National Bank of Canada. A career banker, Mr. Després studied finance at the Université de Moncton and has an MBA in Financial Services from Dalhousie University. Mr. Després is very involved in his community, serving on several committees, particularly the Board of Directors of the Dr-Georges- L.- Dumont Hospital Foundation in Moncton, the biggest francophone healthcare centre in Atlantic Canada. Mr. Després is a proud Acadian. Having grown up in the small village of Cocagne, in New Brunswick, he knows very well the benefits of a good education in both official languages. He is also very aware of the difficulties many Acadian communities experience growing their populations and preserving their culture. Mr. Després is a former intercollegiate hockey player who now prefers to show his talents on the golf course. He lives in the beautiful bilingual community of Dieppe, New Brunswick with his wife and two sons.